I didn't occur to me until after the fact that I didn't take any photos of our food! But our choices were pretty good considering the amount we were paying. The only thing my family didn't care for was the appetizer, as it was a cheese and meat platter, but with only a few things we liked. Can't please everyone. We all had something different. I had the pork tenderloin, my husband had the beef and shrimp and my mother in law had the fish. The kiddos enjoyed the chicken nuggets. I did wish the photographer that was included in the Memory Maker was around for these character dinings, but they were only around for the meeting of Cinderella, hence why I completely forgot to take photos of my surroundings. Same thing for Chef Mickey's. We took our own photos, but the experience is worth the price for dining at these restaurants. Then you don't have to worry about spending too much time waiting at the character meet and greets. 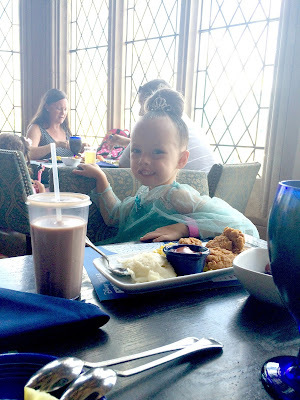 From our lunch I think she was most excited about seeing Snow White. 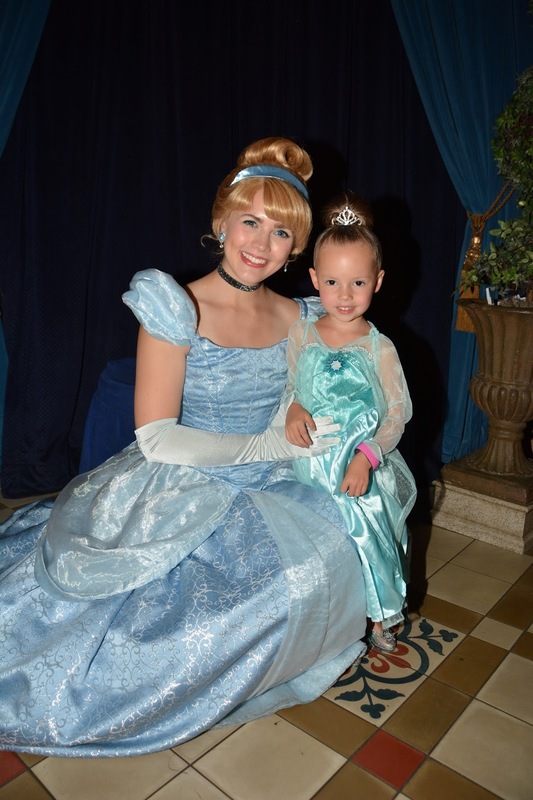 I think it was her first real encounter with the princess. 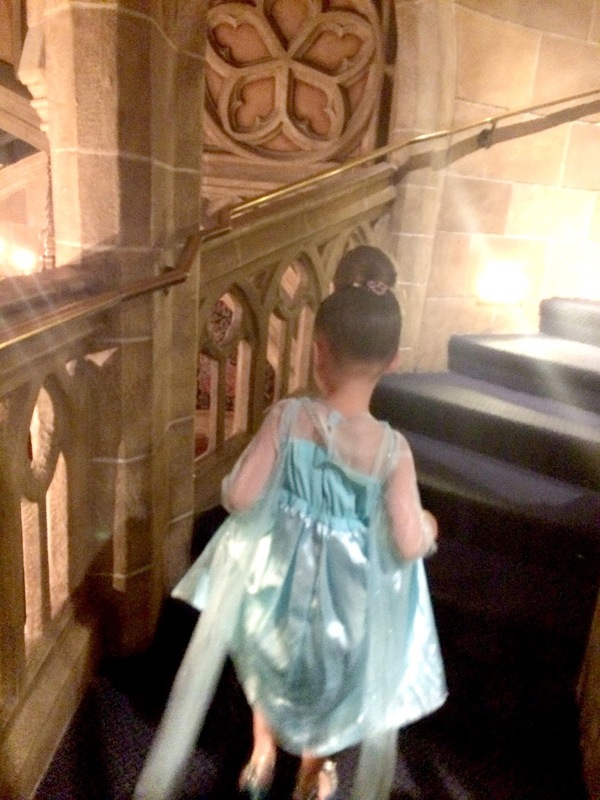 She's used to seeing toys and pictures of the other princesses, so this meeting was special. Love these photos, Madeline just looks so happy...and she is.